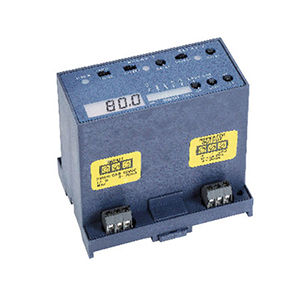 The LVCN-50 Series proportional controller is both a proportional and an on/off controller. It can easily program up to three continuous process setpoints while viewing a numerical display and bar graph. The controller can be applied universally and is an excellent choice for use with the LVU100 Series continuous ultrasonic, and LV3000 Series continuous capacitance level transmitters. It also has a scalable, isolated 4 to 20 mA proportional output to assist in other control functions. Time Delay: Adjustable from 0.15 to 60 secs. Sensor Voltage Supply: Nominal 13.5 Vdc, 1 watt max.